Ronald (Ron) Flowers was born in Edlington on 28th July, 1934. His father was a coalminer and his uncle, George Flowers, had played professional football for Doncaster Rovers. Like most boys in this mining village, Flowers took a keen interest in playing football. A career in professional football was seen as the best way to avoid working in the local colliery. In his autobiography, For Wolves and England (1962) Flowers explains that: "To buy me my first pair of football boots my parents, for some time before Christmas, put a little aside each week so that the boots they presented to me should be a really good pair. Then came one of the proudest moments of my life. On Christmas Day, 1939, my parents gave me my present. Father tied the laces of the boots for me, and, bright and early, immediately after breakfast, I was out with the other youngsters -most of whom seemed to have been given new soccer boots - for a really good kickabout; the perfect appetizer for my Christmas dinner." Ron Flowers joined Wath Wanderers who played in the Northern Intermediate League. The club was run by Mark Crook, who formerly played for Wolverhampton Wanderers. Over the previous few years Crook, who ran a fish-and-chip shop near Barnsley, had already discovered George Robledo and Roy Swinbourne. Flowers later admitted that "Mark Crook, as my first manager, left a lasting impression upon me... He encouraged me to think about the game... He was a wonderful talker on soccer, and we would sit rooted to our chairs as he discussed the great players he had played with and against in his youth." On Mark Crook's recommendation, Flowers joined Wolves in August 1951. 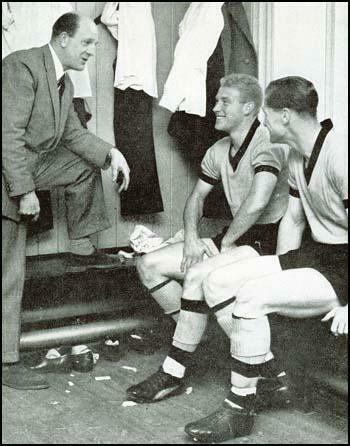 The manager, Stan Cullis, gave him his debut against Blackpool on 20th September, 1952. Flowers was told to mark Ernie Taylor. He later recalled: "Ernie Taylor, with his gift for controlling the ball closely, and using his body to protect it, was easily the most difficult opponent I had ever met. Before I faced him someone had suggested that the best method of putting the handcuffs upon the wily little forward was to tackle him quickly. What they forgot to tell me was how to locate Taylor when he lost me, as he frequently did." Blackpool, with Stanley Matthews in great form, quickly took a three goal lead. However, just before half-time Flowers scored following a corner taken by Johnny Hancocks. "Every footballer remembers his first goal in League football, and for me it was one I'll always recall because Johnny Hancocks cracked over a hard corner-kick, I met the ball with my forehead from the edge of the penalty area, and it went past George Farm with the speed of a bullet." Although Wolves lost the game 5-2 Flowers retained his place in a team that included Peter Broadbent, Johnny Hancocks, Sammy Smyth, Jesse Pye, Jimmy Dunn, Jimmy Mullen, Billy Crook, Bill Slater, Roy Swinbourne, Roy Pritchard, Billy Wright, Bert Williams, Bill Shorthouse and Terry Springthorpe. That season Wolves finished in 3rd place and Flowers played in 20 games. Wolves won the First Division championship in the 1953-54 season with four more points than their nearest challenger, West Bromwich Albion. They scored an impressive 96 goals. The top goalscorers were Dennis Wilshaw (26), Johnny Hancocks (25), Roy Swinbourne (24) and Peter Broadbent (12). In the 1954-55 season Wolves lost the services of Roy Swinbourne who was injured for some of the season. 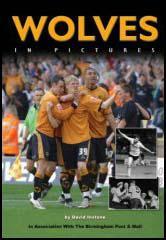 Despite the goals of Johnny Hancocks (26) and Dennis Wilshaw (20), Wolves could only finish second to Chelsea. Flowers, who was a member of a half-back line that included Billy Wright and Bill Slater, scored 5 goals in 37 games that season. Flowers won his first international cap for England against France on 15th May 1955. He joined a team that included Nat Lofthouse, Stanley Matthews, Dennis Wilshaw, Billy Wright, and Bert Williams. England lost the game 1-0. However, Flowers was disappointed with his own performance: "At Wolverhampton I had always been encouraged to hit the ball in front of wingers, but this is very much against Stanley Matthews' way of playing football. He wants you to put the ball at his feet. Then he starts work. In cold, hard print this may sound a simple thing to do, but in front of 60,000 shouting spectators, and having to make split-second decisions, it can be quite a frightening experience for a young player to have to completely change his approach to the game. In France, I'm afraid, Stanley Matthews did not receive from me the same kind of service he accepted at Blackpool as normal when Harry Johnston was behind him to send forward the passes which Matthews takes for granted." 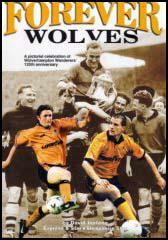 Wolves won the League Championship in 1957-58 by 5 points from Preston North End. The club scored an amazing 103 league goals that season. Jimmy Murray was the club's leading scorer with 32 goals in 45 games. Flowers played in 28 league games that season. Flowers regained his place in the England team against Wales on 26th November 1958. The game ended in a 2-2 draw. He was to retain his place in the team for the next five years. Wolves also won the title in the 1958-59 season with 28 wins in 42 games. Once again the forwards were in great form scoring 110 goals. This was seven more than Manchester United and 22 more than third placed Arsenal. Jimmy Murray was the club's leading scorer with 21 goals in 28 games. He was followed by Peter Broadbent (20), Norman Deeley (17) and Bobby Mason (13). Flowers played in 31 league games that season. In the 1959-60 season the club was beaten into second placed by Burnley. Once again Wolves were the top scorers in the league with 106 goals. They did even better in the FA Cup that season with Norman Deeley scoring two of the goals in the 3-0 victory over Blackburn Rovers. Flowers won his last international cap for England against Norway on 29th June 1966. He had scored 10 goals in 49 games for his country. In September 1967 Flowers joined Northampton Town. He had scored 37 goals in 515 games for Wolves. He also played for Wellington Town before running a sports shop in Wolverhampton. The shop is currently being managed by his sons. I am a Yorkshireman, and very proud of it. I was born on July 28th, 1934, at 78 Thompson's Avenue, Edlington, near Doncaster. My father - his brother, George Flowers, had played as a professional for Doncaster Rovers - was a miner who loved his football. But, then, everyone in the village was soccer mad, and I was only just four years old when I first found myself concerned in a kick-about with other village lads. I remember my mother was rather concerned when she heard about this, but Father merely smiled and said: "He can take care of himself." And he was right. My father, like most miners, has a tremendous love for his family, and nothing was too much trouble for him if it meant Mother and his sons having something extra. To buy me my first pair of football boots my parents, for some time before Christmas, put a little aside each week so that the boots they presented to me should be a really good pair. Then came one of the proudest moments of my life. On Christmas Day, 1939, my parents gave me my present. Father tied the laces of the boots for me, and, bright and early, immediately after breakfast, I was out with the other youngsters-most of whom seemed to have been given new soccer boots - for a really good kickabout; the perfect appetizer for my Christmas dinner. Before going to bed I took a walk around Wolverhampton and met Peter Broadbent, the Wolves and England inside-right, who told me I was going to "dig" with him at the house of Mrs. Long in Chester Street, Wolverhampton. "She'll look after you like a mother," was Peter's comforting tip, "and, don't forget, if I can give you any help never hesitate to ask." The following morning Neal and I had to report to Joe Gardiner, the Wolves trainer, and George Poyser, the club coach, two men of great experience; kind-hearted fellows whose lifetime in the game has given them a human approach to young footballers which I know from experience is a most wonderful thing. After reporting at Molineux the first thing the club did was to fit me out with a track-suit, training shoes, and spikes. Then trainer Gardiner said: "Now, my lad, let's have a look at the other chaps," and led me through the tunnel on to the pitch. As I followed him out on to the running track, that lovable character Jimmy Mullen was trotting past. "Oh, Jimmy," said Gardiner, "I'd like you to meet Ron Flowers, one of our new players. Will you please look after him and show him around the place?" "Of course," grinned Jimmy, and turning to me added: "I was once like you and appreciate just how you feel at this moment. Remember, however, at Molineux you've joined a grand club and all the fellows are friends out to help one another." Mullen, who like Billy Wright has given Wolves such grand and loyal service, quickly made me feel at home. He took a personal interest in me; wanted to know from what part of the country I hailed; what my interests were apart from football. Jimmy Mullen, in brief, became my first real link with Wolverhampton Wanderers, and I realize now that I could never have wished for a better man to be my first friend among the players. It was Bert Williams, a fitness fanatic if ever I saw one - he was a sergeant instructor in the R.A.F. - who used to explain to me his body-building exercises. Bert, with his enthusiasm, soon had me as enthusiastic as he was, and during one of our pow-wows he casually mentioned that he thought I could become an even better player if I improved my speed. Now Bert was at that time the fastest man in League football. He had clocked just over ten seconds over 100 yards and I naturally took heed of him. The outcome was that Bert showed me how to stretch my leg muscles for running. Quietly, but for all that most successfully, it was the Wolves and England goalkeeper who helped me add considerably to my speed. What is more, because of the interest Bert took in me, I added a good deal to my speed off the mark, and, I think, all-round value to the team. Typical of Bert Williams - and other senior professionals at Molineux - was his desire to help me not only as a footballer but as a man. Before the start of my first League match I received telegrams of good wishes from my parents, my old headmaster, and the lads at the R.A.F. camp - and the match had been in progress only a short time when I realized how badly I needed the good wishes. Ernie Taylor, with his gift for controlling the ball closely, and using his body to protect it, was easily the most difficult opponent I had ever met. Before I faced him someone had suggested that the best method of putting the handcuffs upon the wily little forward was to tackle him quickly. What they forgot to tell me was how to locate Taylor when he "lost" me, as he frequently did. A man so rich in experience did not find it a problem to exploit my inexperience. He was a master at finding the open spaces, and to watch him was in itself a full-time job. It was also a great experience - even if it meant a great deal of chasing - to have a close-up of Stanley Matthews. With "The Maestro" and Taylor in top form, Blackpool were also at their best, and quickly they built up a three goals' lead. Let me add, too, that Blackpool had dominated the game so much they were worthy of this lead, but a minute before half-time Wolves did manage to get a goal. To my satisfaction I was the scorer. Every footballer remembers his first goal in League football, and for me it was one I'll always recall because Johnny Hancocks cracked over a hard corner-kick, I met the ball with my forehead from the edge of the penalty area, and it went past George Farm with the speed of a bullet. At half-time, as we sat down drinking sweet tea, Stanley Cullis had a talk with us, and for me, experiencing this for the first time, it was most illuminating. Stanley is a wonderful tactician. His sizing-up of the opposition is masterly. By listening carefully to our manager, too, a player inevitably finds he is able to improve his play. On this occasion, however, Blackpool were in tremendous form. They beat us 5-2 and were worthy winners. Looking back upon my international debut, I shall always recall appreciating early in the match with France that a footballer has to forget all he has previously learned in club football. Playing with Stanley Matthews was a case in point. At Wolverhampton I had always been encouraged to hit the ball in front of wingers, but this is very much against Stanley Matthews' way of playing football. He wants you to put the ball at his feet. Then he starts work. In cold, hard print this may sound a simple thing to do, but in front of 60,000 shouting spectators, and having to make split-second decisions, it can be quite a frightening experience for a young player to have to completely change his approach to the game. In France, I'm afraid, Stanley Matthews did not receive from me the same kind of service he accepted at Blackpool as normal when Harry Johnston was behind him to send forward the passes which Matthews takes for granted. To watch Stanley Matthews train was a fascinating experience. The most famous forward in the world did not waste his energy aimlessly lapping the track. He concentrated upon twenty-yard bursts, which for acceleration surprised us all. Matthews' secret, apart from his poise, superb fitness, quick-thinking mind, and sheer artistry, is his ability to get himself into top speed long before opponents have even moved. A remarkable thing about Matthews, however, is that even when training hard he always gives one the impression of having something in reserve. Like all great sportsmen, he has the ability to make everything look so simple. Mr. Cullis, as our chief, and the mainspring on the playing side, possesses a tenacity and drive few other men can equal. As I remarked earlier, I do not always agree with him, but there is no disputing he has in every way proved himself to be one of the most successful managers in modern football. The Stanley Cullis approach to the problems of modern football always makes interesting hearing, and reading, for he thinks most seriously about all aspects of the game and his reactions often intrigue me. Many managers, when a team is passing through a lean spell, would prefer to sit down and talk over the current problems with his players. But not our chief. As a former player of distinction, he realizes that a player knows when he is playing badly and must be worried. approach. Our manager, on the other hand, has very thorough and searching tactical talks when we're doing well, which over the past ten years means we've had plenty of discussions. One of the great qualities of Stanley Cullis as a manager is that he knows what he wants. The "boss" likes to hear our ideas, and encourages us to air our views. But as our manager he'll tell us when he disagrees, and straight from the shoulder say what he requires from us all. On a Saturday, if we have not had a team talk, he will always come to the dressing-room before the match to have a word with certain players to discuss the men opposing them. Mr. Cullis's advice is always on target. During the course of a season our manager spends as much time as possible watching the teams we will oppose. He makes a mental note of the players we will be meeting and he has what I can only term a photographic mind. If Stanley Cullis tells you that your opponent has certain strong qualities, and weaknesses, you can be certain he is giving you the right advice. In setting out to achieve success on the field for Wolverhampton Wanderers our manager never sets out to copy the tactics of any other club. He has his own individual approach to the game. It is an outlook that has brought with it success to his teams, and, briefly, I think his basic plan is to split the field into three parts. One third of the pitch contains our goalmouth; one third is mid-field; the final third is our opponents' section of the field. The Wolves plan is a simple one to follow. The idea is to get the ball as often as possible into the third of the field defended by our opponents, for it is from this position the Wolves score their goals. Let's run through a typical "Wolves Week". Monday: If the team has played reasonably well on the preceding Saturday, and no inquest is necessary, most of us have a hot soda bath, which brings out all the bruises, aches, and pains. On the other hand, if we've had a poor match the outcome is usually travel by coach to our training ground at Castlecroft, and Bill Shorthouse, the club coach, examines our mistakes. Our coach attends all the League team matches, and naturally studies, probably more closely than anyone else on the ground, the team and individual displays. Sometimes, when we go to Castlecroft, manager Stanley Cullis also attends. And after our inquest the exercise usually concludes with a practice match under the direction of Bill Shorthouse. We then return to the ground, have a bath, and the rest of the day is free. Tuesday : This is an athletics morning, and we train at the Aldersley Stadium under the direction of Frank Morris, a well-known international runner, a qualified coach, and, as it so happens, a very keen supporter of the Wolves. Mr. Morris, however, much as he may admire our club, still puts the emphasis upon hard work once we arrive at Aldersley Stadium. The morning starts with lapping in our gym shoes, and we usually cover around three miles. This is followed by body exercises, and then we put on our spikes and really enjoy ourselves. Frank Morris, quite rightly, understands the importance of competition to keep everyone interested, and our sprinting, hurdling, and running in general is based upon team competition. Sometimes we have 440-yard races and relay races, and, let me repeat, the emphasis all the time is on getting superbly fit, but at the same time maintaining interest in our training. When our morning has been completed at Aldersley Stadium we return to Molineux. In many instances we get into our cars, drive home for lunch, and report back to the club at two o'clock for another training session, this time under Joe Gardiner, the club trainer. Tuesday-afternoon training consists of circuit training, with our trainer, a former Army P.T.I., really putting everyone on their toes. We include weight-lifting, squats, press-ups, and dumb-bells in our circuit. Altogether we go round the circuit three times. Afterwards we have stomach exercises, and finish the afternoon with a six-a-side on the car park. We have completed our training by about four o'clock in the afternoon, and, as you may have gathered, following these exertions we are all ready for tea and maybe a rest in front of the fire. Wednesday: After reporting at Molineux - every player has to sign a book so that the manager is aware if there are late arrivals-we travel by coach to the training ground at Castlecroft. Our first assignment is to loosen up by lapping the ground about a dozen times. Then, with coach Shorthouse, and often manager Cullis, we get down to the very serious business of work with the ball. Coaches such as Bill Shorthouse and his Wolves predecessors, George Poyser and Harry Potts, now Burnley's manager - are men brimful of ideas. They get players talking seriously about the game, and at Castlecroft we often find Bill putting into practice the ideas we may have put forward, which, in all walks of life, makes a fellow feel a little pleased with himself. On Wednesday morning we practise moves; maybe I spend some time working out throws-in with Peter Broadbent or other forwards. The value of having a former Wolves player such as Bill Shorthouse in the role of coach can be appreciated by a player like me who has been some time with the club. Bill knows just what manager Cullis wants from us. He can guide us into playing the type of game our boss demands. And to a player assisting a club with a set style of play this guidance is of the utmost value. Although our manager is a straight-speaking character who never hesitates to tell a player when and where he has gone wrong, I always enjoy his presence at a practice match. The former England centre-half has a wonderful eye for detecting what is wrong, and knows how to rectify the problem. When once he starts talking over such problems I always find myself absorbed by his intelligent and constructive approach to football as a whole. After our work at Castlecroft we have the rest of the day to ourselves. Thursday: Another athletics morning at Aldersley under Frank Morris's direction. In view of the Saturday match in two days' time the importance of conserving energy is appreciated, so after six laps of the track Morris concentrates upon body and breathing exercises. Once again I should like to stress how I understand why Mr. Morris takes this angle, for there have been occasions in the past when I have felt on a Thursday that we have tried far too hard, and the outcome has been-speaking purely for myself - a footballer who has felt rather tired when match day arrived. There are Thursdays, I might add, when Mr. Morris takes us over to Cannock Chase for a jog, long walk, and deep-breathing exercises. From a fitness point of view Frank Morris's athletics training has helped a large number of the players on the staff at Molineux. In my own case Mr. Morris taught me how to use my arms correctly to get "push", and there is little doubt this has added to my speed. Jimmy Murray, the Wolverhampton Wanderers and England Under-23 centre-forward, is one more player who has improved his play because of Mr. Morris's influence and knowledge. At one time Jimmy, whenever he went up to head a ball, landed on one foot. Naturally he was off balance and could not move quickly to join an attack. Once more Mr. Morris stepped in. He put Jimmy through a course of high-jumping, and Murray soon began to land on two feet. This also applied when he went up to head a ball on the football field. To many, following this coaching course, he may have appeared to be a much speedier player, but actually the small but vital point of landing on both feet was the real basis for his all-round improvement. Friday: This is pay-day, and before reporting for training most of us receive our cheque. At Molineux this practice, which has been adopted recently by many other clubs, has been an accepted rule ever since I joined the Wolves. On Friday, too, this is the only day we stay at Molineux. Usually we loosen up in our spikes on the cinder track surrounding the pitch, perhaps have a kick-about on the car park, or a spell in the shooting-pen, and complete the morning of light work by having a massage. The afternoon is free. Saturday : The day for which we have been preparing all week. I usually lie in bed until nine o'clock, read the papers, take my son Glen for a walk, and then, after a light lunch, report at the ground about an hour and a half before the start of the game. I'm one of those fellows who prefer to take things easily, and would far rather have plenty of time to spare, so that I can prepare carefully for a game, instead of rushing along at the last moment. After all, as it says on the wall of the Wolves dressing-room: "There's no substitute for hard work." Neither, come to that, does the good footballer go on to the field until he has thoroughly checked over his boots and other gear, and, at the same time, acquired the poise so essential if any sportsman is to produce the best performance of which he is capable. Bill Slater, the English international half-back, who is on the teaching staff of Birmingham University, is another Wolverhampton captain who has impressed all who have played with him. Bill, as you would expect, is a great soccer student. With his polish, ability to speak fluently, and tremendous zest for football, Bill Slater has emerged as an outstanding skipper. Unlike so many men possessing similar qualities, Bill is, in addition, a player who fights from the beginning to the end of every match. No game is lost until it is won, is the attitude Bill takes, and he spreads it through the team he skippers. In brief, while having revealed himself an outstanding scholar, Slater at the same time has proved to the world he also possesses the ability to lead men. And to win their respect. To some there may be occasions when Bill Slater may appear to be something of a sergeant-major as he drives his colleagues on to greater efforts. During the latter part of the 1959-60 season we met Yugoslavia at Wembley. During the course of this international I started out playing my normal attacking game. Then, with the pattern of play produced by the Yugoslav inside-forwards, I quite unwittingly found myself moving into the centre of the field. Without realizing how it may have looked from the grandstands, I was a`cover' to our centre-half Peter Swan, and playing a game which did not altogether appeal to a half-back who enjoys going forward and having a crack at goal. A few days later, shortly before England met Spain in Madrid, Mr. Walter Winterbottom, the England manager, asked me if I'd stay around and cover the middle as I had done against Yugoslavia. The Spanish forward line, brilliantly led by Di Stefano, gave my colleagues and me a hectic afternoon in defence, and I obeyed the instructions of Winterbottom. I'll admit the idea of a defensive role did not appeal to me. All the time I wanted to nip forward and join in an attack. But I won the battle with myself. I stayed in defence, and although we lost 3-0, Mr. Winterbottom seemed to be quite happy and we decided to continue this experiment when we played Hungary a few days later in Budapest. It was in this match that Bobby Robson displaced Ronnie Clayton at right-half-back, the first time Bobby had in fact played in this position for England, and quite a moment for us all, although few realized the part Robson was in future to play in our 4-2-4 system. It would be pleasant to be able to write that we clicked in defence, but this was not the case. England were beaten 2-0 by the Hungarians, and I personally hadn't much idea what our defensive system really set out to try to achieve. I never felt in the game and because of my unhappiness I began to lose confidence; and I'm telling the truth when I reveal at this time I began to wish that I was not being included in the England team.